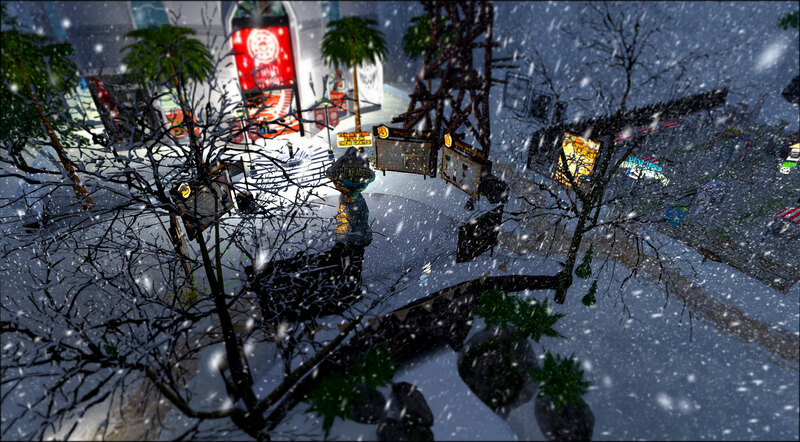 Back when my island was called ‘Goony Island’ it would get to these winter months and christmas would slowly take over Second Life. But rather than celebrate a coca cola deity, we decided to create a character only available in Second Life that all countries could meet. Inspired in part by the Sendek’s Where the Wild Things are, Egnog is a Troll who’s magical grotto appears around christmas time and remains at Escapades island as long as the yule time spirit is strong. Those who manage to find him in his cave will often be given a free gift, while some are gobbled up as a winter snack. This Year the Winter Engineer who maintains the Magical Portal Fob Watch has lost the four Crystals that power the Watch. 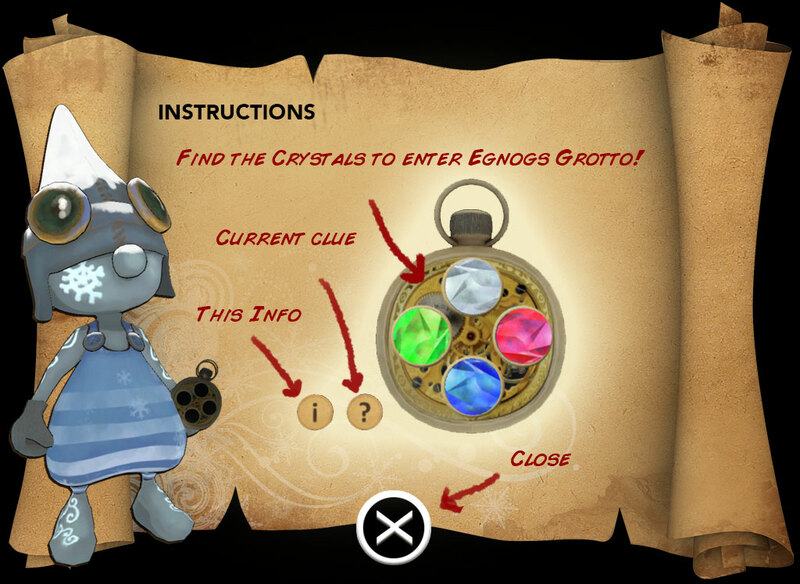 He needs your help to find the Crystals and open the Portal to Eggnogs Winter Grotto. The small quest uses the new XP Tools to create a simple clue hunt quest and is a sample of what i hope to expand on next year. Simply Click on the Winter Engineer, accept the request to join the Escapades Experience and start the quest! Everyone is welcome to come to Escapades Island via the destination guide listing below between now and New Year to find Egnog and receive a free toy. 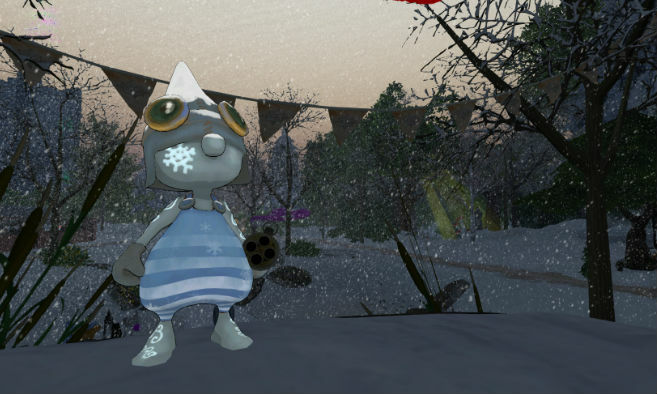 Eggnog the Winter Troll has returned to Escapades Island to give a special gift to all in Second Life. Unfortunately, the Winter Engineer lost the four crystals that open the doorway to Eggnog’s grotto. 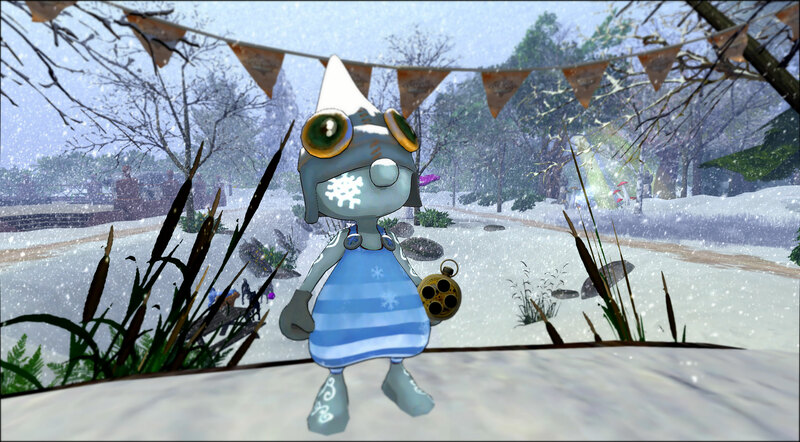 Help the Winter Engineer find all the crystals to meet the big, cuddly winter troll. This game is available to play until New Years.